Kisumu Little Ones Eagerly Waiting! 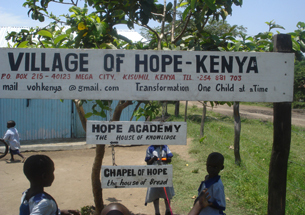 The Village of Hope in Kisumu, Kenya, is a refuge and home to many destitute children in the area. Operated by Canadians from VOH Africa, the centre offers orphan homes, medical care, community church and primary education at Village of Hope Academy where children from the centre and other local marginalized children gain a good education. C4A is currently sponsoring the building of two classrooms for the younger students to replace the tin shacks currently being used. 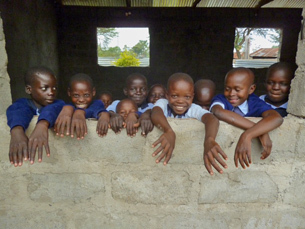 Pictures below show some of the children who are eagerly anticipating their new learning space. Thank you donors from Western Canada. The project will be completed soon after many delays because of torrential rains in the area when roads were cut off.